Wheeler Formation, Millard County, Utah, U.S.A.
Specimen is 43x28mm. 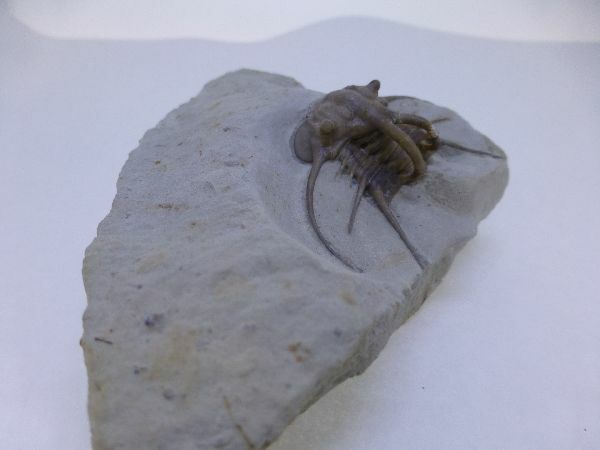 Trilobite is 30x15mm. Specimen is 65x50mm. 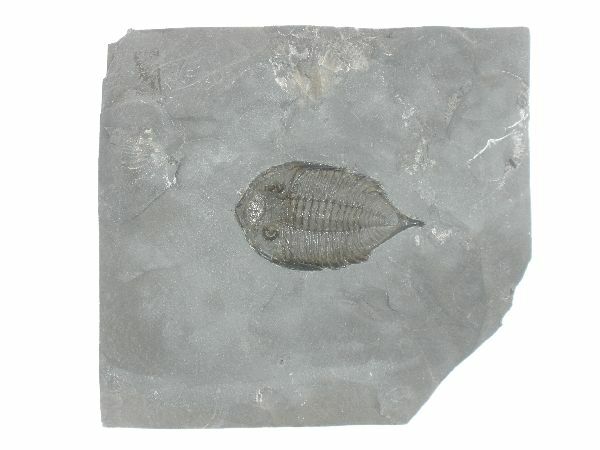 Trilobite is 17x17mm. Liberty Bell Formation, Catausa Mtn. Blacksburg, Virginia, U.S.A.
Specimen is 60x40mm. Trilobite is 23x22mm. Haragan Formation, Coal County, Oklahoma, U.S.A.
Specimen is 100x85mm. 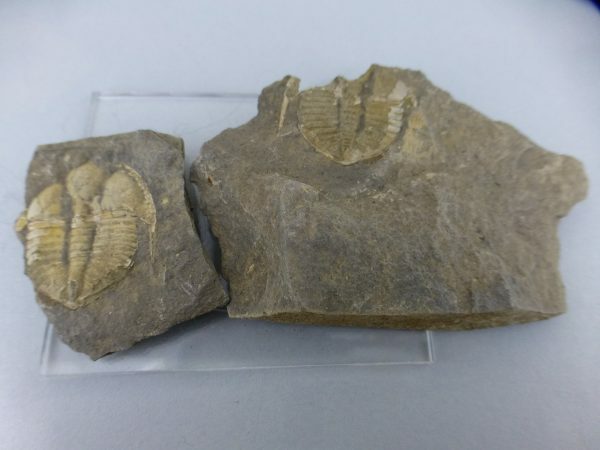 Trilobite is 50x38mm. Rochester Shale, Middleport, New York, U.S.A.
Specimen is 105x96mm. Trilobite is 36x11mm.